M/Y Katieca is licensed to carry 20 passengers. Weather permitting, all passengers can be seated together on the spacious deck at the rear of the vessel,alternatively 10 passengers can be comfortably catered for indoors. Food and beverages can be supplied and arranged on request. Along our journey, we can dock at the smallest inlets with ease, for those who wish to enjoy a picnic basket in serene solitude.The boat can be chartered for small corporate board groups or other clients in search of a unique experience on the water. The interior of M/Y Katieca is fully equipped to offer quality, elegance and harmony at sea.speed resources around 39 knots. M/Y Katieca takes you to the archipelago with speed and comfort at a cruising speed of 30 knots. With a keel depth of only one meter, the vessel can pass through beautiful, shallow and often inaccessible waterways during your journey in the archipelago. 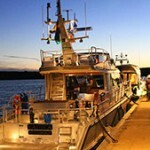 The equipment aboard M/Y Katieca is extensive. The core components of security and quality are complemented by elegant mahogany interiors. 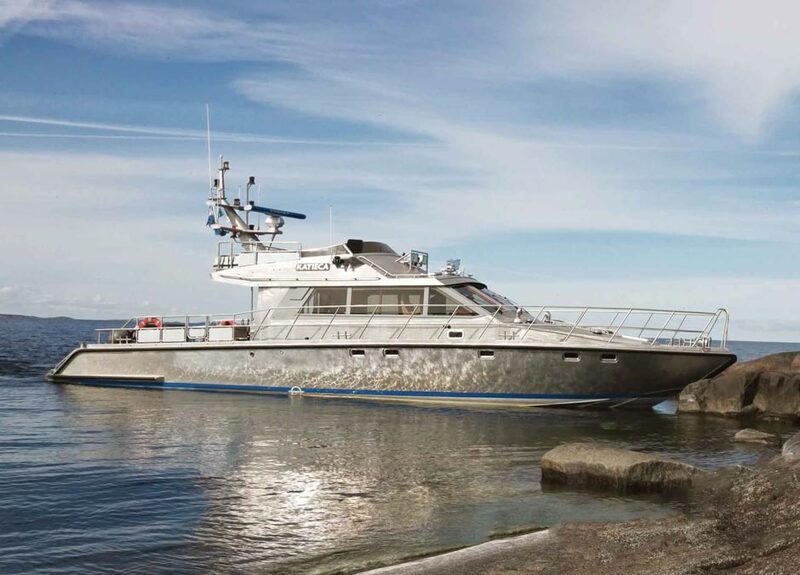 M/Y Katieca was constructed at the Dockstavarvet docks in Sweden.The vessel is licensed to travel in the outermost parts of the archipelago (D-zone). 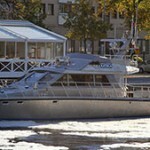 All prices are counted from our home port on Strandvägen, Kajplats 21 in Stockholm (minimum charge 2 hours). Boarding and disembarkation can of course take place where the customer wishes. 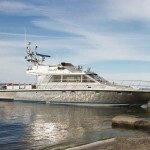 Ship rental 2 hours 7,000: -. 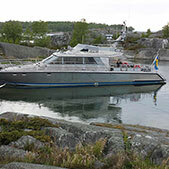 Ship rental 3 hours 9,000: -. Ship rental after 3 hours 3,000:-/h. Idle time/empty run time 1,500:-/h. All prices excludes 6% VAT. We accept all major credit cards onboard.